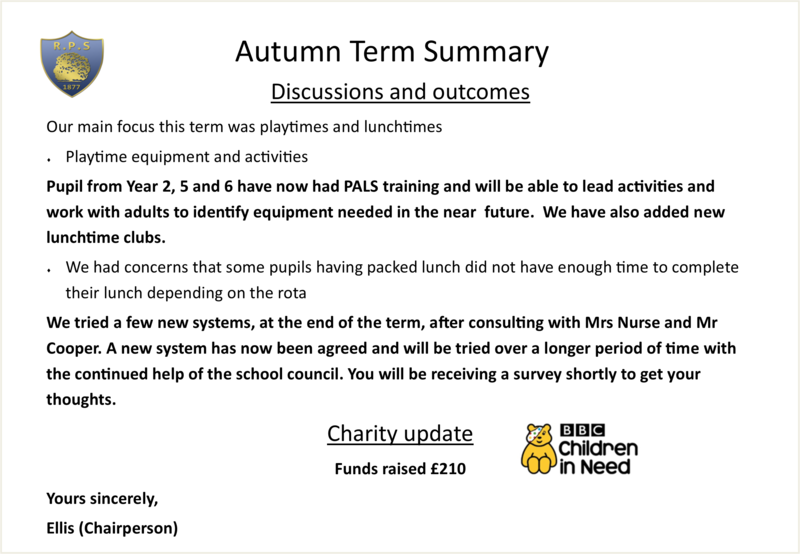 The School Council meet on Wednesdays to discuss changes they would like to make to the school. Every other week the children put together their own minutes and these are displayed on our school council board. Since our last meeting eight ‘Playground Buddies’ have been trained by Miss Sayer and have starting supporting pupils at breaks. They can be identified by their red BUDDY badge. Lunchtime Clubs – we discussed clubs that have been popular, whether we could have clubs outside in the summer term. Could we have new clubs? Where could they be held? Did adults need to support them? The Buddy Bench – do all classes know about it? Can we spruce it up, so it stands out? Is it in the right place? Can we access it when we are only using the playground not the field? Who will keep an eye on the bench – is it everyone or could we have a Buddy League? Share and asked our classes for their ideas about the Buddy Bench. Ask staff for their views accessing the Buddy Bench. We opened and reviewed the comic relief pack. All agreed that the event should be supported, ideas included non-uniform and selling red noses. Have you noticed any changes to the lunchtime routine? Are the new changes better? Interviews for all posts with the school council took place today. The vote for the Chairperson took place. Successful candidates will be announced shortly. 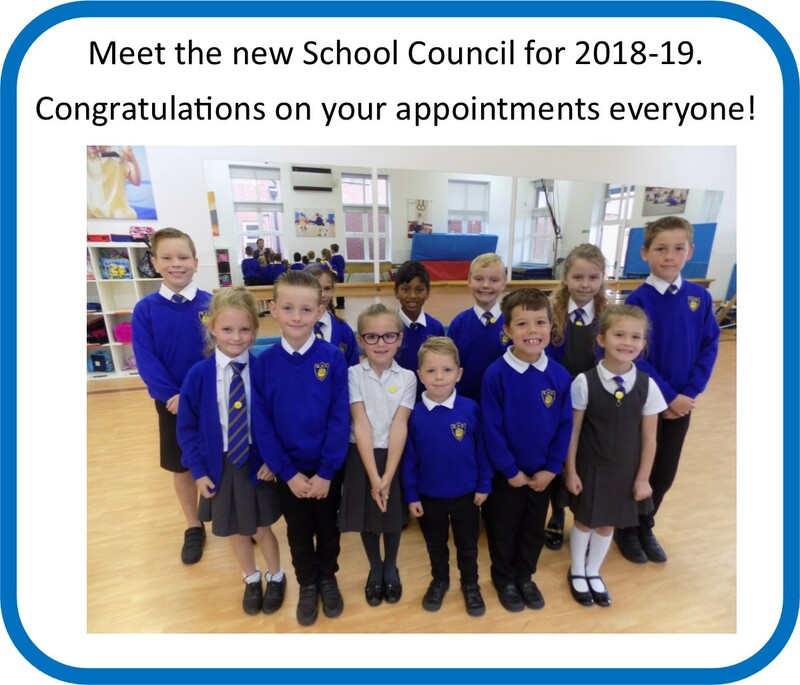 This year our school council will meet every fortnight on a Monday, they will chair their own meetings, take minutes and display them on the School Council board. At our next meeting on Monday 15th October we will be reviewing the applications from our new councillors for the posts of chairperson, secretary, clerk and treasurers. Miss Styles to supply application forms for the posts ofchairperson, secretary, clerk and treasurersto all new councillors. Minutes to be displayed on the SC board.